I can have breakfast pretty much any time of the day. There’s something intrinsically comforting about breakfast food. When I was a kid I used to sneak Eggos into my room for a quick snack. Cereal is still a go-to for an anytime-of-day nosh. Croissants, bagels, donuts, marmalade, jam, grits, oatmeal, omelettes, sausages, yogurt…I love them all. My favourite breakfast place in Ottawa is Eggspectation. I go there fairly often with a friend and order pretty much the same thing. It’s always some combo of eggs, bacon and french toast or pancakes. If you want to check out Eggspectation, it’s on Bank Street near Laurier. 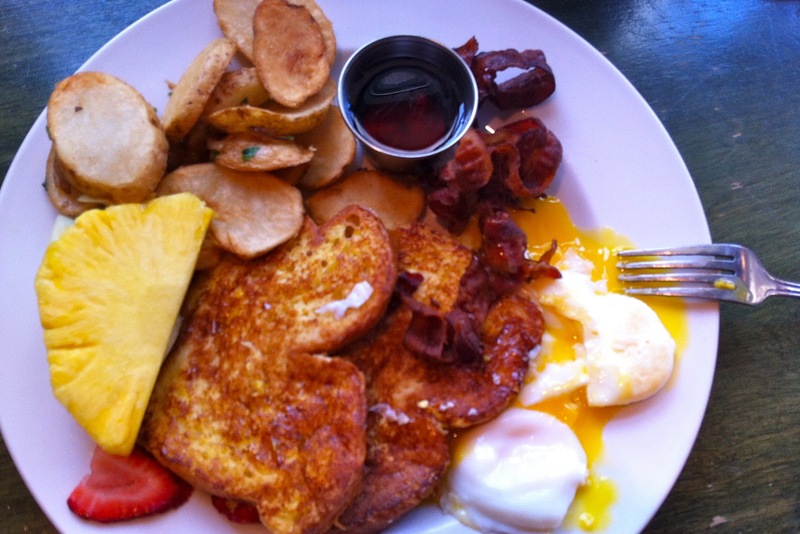 French toast, poached eggs, bacon, potatoes and fruit.